Nelson Mandela’s birthday is on 18 July and South Africans are called to celebrate his birthday and honour the 67 years he spent in public service by devoting 67 minutes towards a global movement for good. Every Friday is Casual Day at Abrahams & Gross. 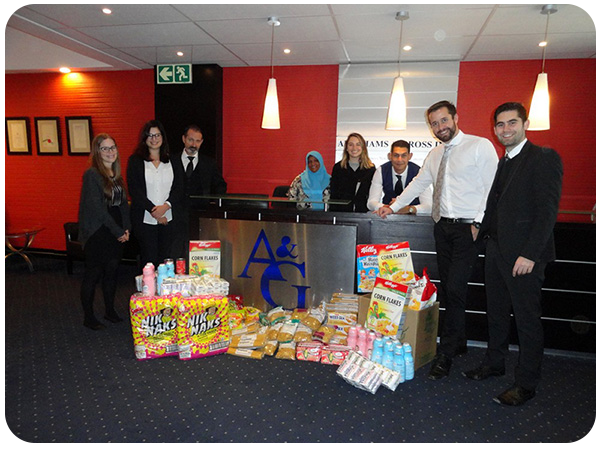 In support of this, our staff voluntarily donate a monthly stipend to the firm’s charity fund (whatever amount they are able to afford) which amount is matched by the firm when the funds are made available to a chosen charity on Mandela Day. Over the years, the firm has supported numerous charities within various sectors such as child-care and education. This is our way of giving back to our community and showing that we care. 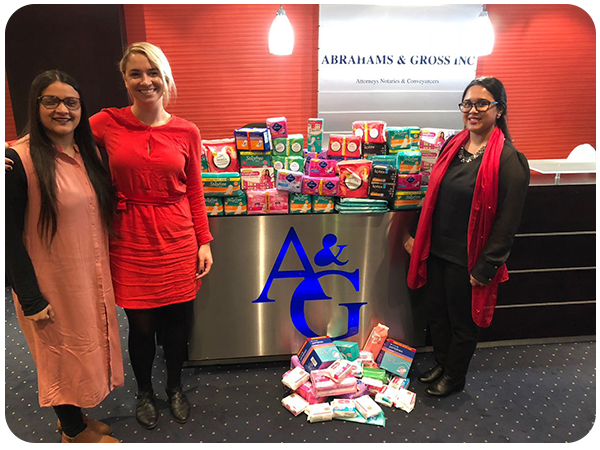 In 2018, Abrahams & Gross supported Running4Pads, an organisation that supports girls from 12-18 year’s old who cannot afford sanitary towels. This is to help some of the millions of girls who miss or drop out of school because they can’t afford to buy sanitary wear. 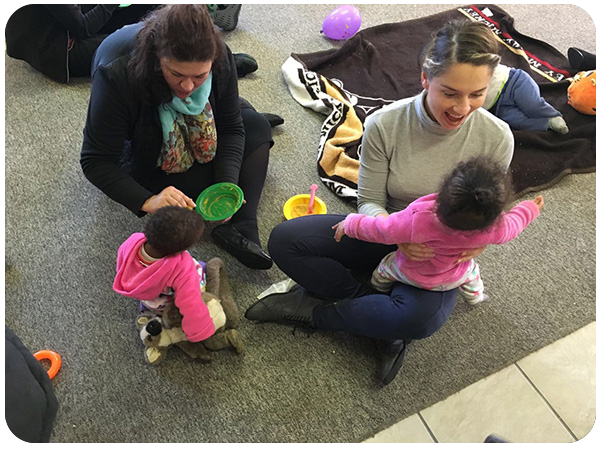 In previous years, we have donated funds on an ad-hoc basis to deserving causes such as the Fire Relief Fund for Imizamo Yethu where devastating fires ravaged the Hout Bay community. 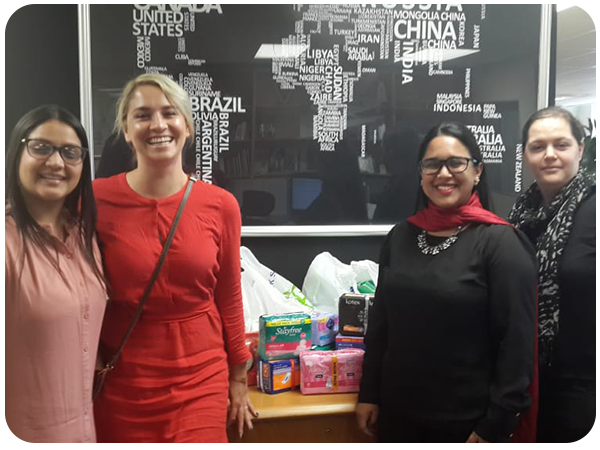 We have also donated food and toiletries to Christine Revell Children’s Home in Athlone where they nurture and develop children in need.